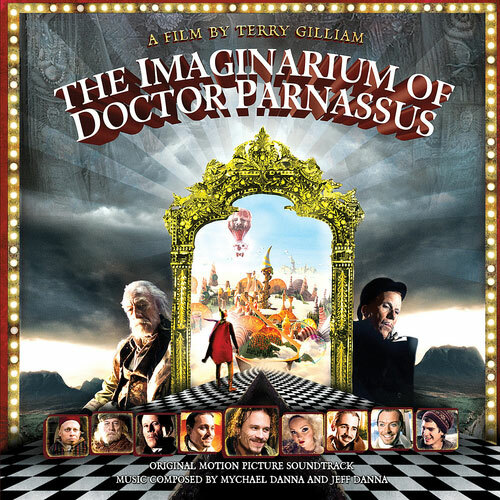 Mychael and Jeff Danna’s soundtrack to Terry Gilliam’s fantastical contemporary morality tale. Director Terry Gilliams’ Worlds of candy canes, mile high ladders, giant cobras come and go and transform into other wonders. To underline the dream-like states and fantastical elements of Gilliam’s cinematography, Jeff and Mychael produced a breathtaking and surprising post-modern score. Tangos, Waltzes, Tibetan monastic chant, Mediaeval Music and a greasy noir-ish saxophone tune for Tom Wait’s characterization of Satan all mix together with a full orchestra and a couple of show-stopping songs.